Feodies Shipp III started his career in higher education with the U-M Career Center in 1995. From 1996 to 2010, he worked in the university’s Office of Undergraduate Admissions first as an admissions counselor and then as assistant director. In 2010, Shipp was named associate director of the U-M Detroit Center. Through this position, he was able to combine two of his greatest passions — the University of Michigan and the city of Detroit. Born and raised in Detroit, Shipp is excited by the city’s rebirth and believes the university can be a significant contributor to that experience. He earned his B.A. in History from U-M and his M.A. in educational leadership from Eastern Michigan University. 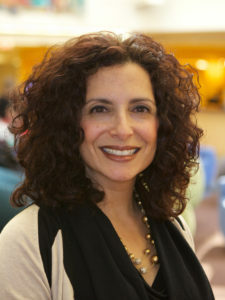 Adding to the university’s mechanisms that encourage more collaboration and even greater impact in Detroit, the Office of the Provost appointed Sonia Harb as a special advisor on Detroit engagement. Harb acts as a leader and liaison among nonprofits, businesses, students, faculty, and staff, fostering connection and understanding between U-M and the community for Detroit-focused projects, programs, and initiatives in the Office of the Provost. She will staff the Detroit Advisory Group and help to connect U-M faculty and students to each other regarding their Detroit engagement. 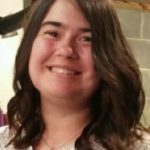 Harb also is the Detroit Engagement Strategist for the SSW and has been working to empower Detroit neighborhoods and other stakeholder groups on behalf of the school for the last 6 years. Gerrard Rayford handles the management, coordination and maintenance of the U-M Detroit Center’s spaces and equipment. He is also responsible for the development, coordination, and installation of exhibits for the Monts Hall Gallery. 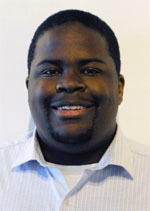 Rayford is a history major at Wayne State University, with interests in creative writing, music production, and sports. Anna Moga is the Events Coordinator at the University of Michigan Detroit Center. As an events, engagement and communications professional, she thrives on making a positive impact within the community. Coming from a diverse background ranging from Walt Disney World to Detroit Public Television, she is excited to take all of her previous experiences and focus them into her passion for the city of Detroit. Anna earned her B.S. in Communication and Media Studies from Eastern Michigan University. Constance Bush provides administrative support for the Detroit Center. Constance primarily is responsible for supporting the work of the Detroit Center by playing a vital role in the establishment and maintenance of relationships on campus and in the City of Detroit. She also serves as a lead for financial transaction processing. Constance has gained deep knowledge of civic life reflected in her work with the City of Detroit municipal government and nonprofit organizations. She is enthusiastic and passionate about assisting the Detroit Center fulfill its mission of serving as a gateway for the University and urban communities to mutually enrich each other through service, education, research, and cultural exchange. Away from the office Constance enjoys cooking, reading, walking, and spending time with family and friends. Katie grew up in Linden, Michigan, a small town between Ann Arbor and Flint. After graduating high school, she attended the University of Michigan, earning her BA in Communication Studies. After working for a year in property management, Katie decided that she needed a change. 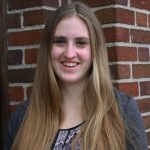 The Detroit Center allows her to combine her passion for higher education with her love of helping others and her community. Michael Marcu is a Romanian born resident of Livonia where he has lived since the age of three. 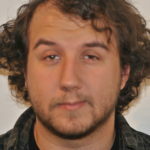 He is a recent graduate from the University of Michigan Dearborn where he studied for his Bachelors of History, primarily focusing on Eastern European History. 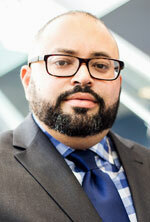 He previously worked in the Dean’s Office of CASL at University of Michigan Dearborn. His other interests include reading, computers, learning languages, and video games.